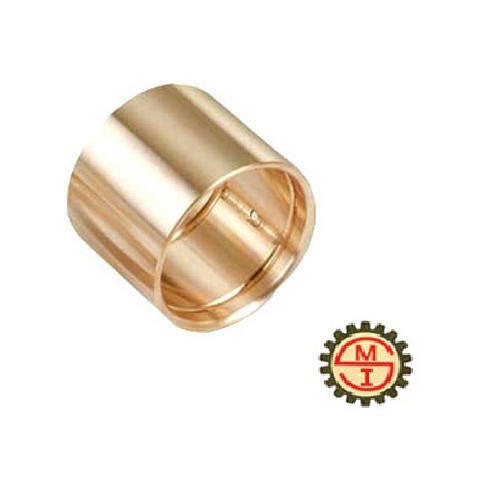 We are a renowned firm engaged in manufacturing & supplying a wide range of Bronze Bushes, This range has been in wide demand for its major features of accurate dimensions and easy installations. Our products are widely demanded in the national and international markets. We avail this range at the most market leading prices. We are a renowned firm engaged in manufacturing & supplying a wide range of Bronze Bushes,This range has been in wide demand for its major features of accurate dimensions and easy installations. Our products are widely demanded in the national and international markets. We avail this range at the most market leading prices. Established in the year 2001, We, Super Mech Industries are engaged in Manufacturer, Wholesaler, Retailer, Exporter, and Importer of Construction Machinery and Spare Parts. Our list of product includes Gear Coupling, Mechanical Coupling, Gear Boxes, Bush Couplings, etc.. Backed by in-depth-industry experience, we have become one of the leading manufacturers. All our products are manufactured using the high-grade material of construction sourced from reliable vendors. Our state-of-the-art manufacturing unit is spread across a wide area and is well equipped with advanced technology machines. The installation of latest machines helps us in delivering the world-class range of products resulting in increased production rate. Further, the segregation of the entire manufacturing unit into different departments enables us in smooth functioning of the production ways.